Flew with KLM to Israel with a connection in Amsterdam both ways so 4 flights. 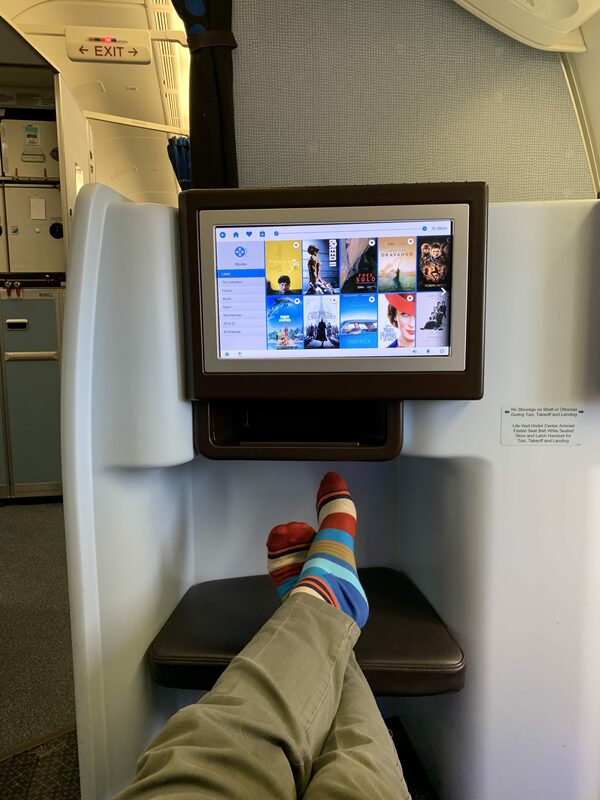 Shorter flights (UK to Amsterdam) were more relaxing than the long ones. Staff were reasonably helpful however before a 4 hour flight took off I was moved twice. They moved me to a reserved seat for cabin crew which nobody sat in. They then moved me again. The food wasn't great but I wasn't expecting much. I won't be flying KLM again. GLA-AMS. Boeing 737-700 6am flight. Boarded quickly and left pretty much on time. Crew were friendly and efficient. Decent breakfast/snack service provided. Seats comfortable and overall a decent short flight. AMS-BKK-AMS / KL875 and KL876. Travel dates 18 May 2013 23 May 2013. KLM is in the range of 4 stars airlines: smooth logistics pristine fleet very comprehensive website and product one of the few to offer Economy Comfort between Europe and Asia (with post booking online purchase) ultra efficient staff on board not to mention the transit hub of Schiphol making it a pleasure to travel. The only dark points is the stiffness of seat cushions not enough to outshine the rest. 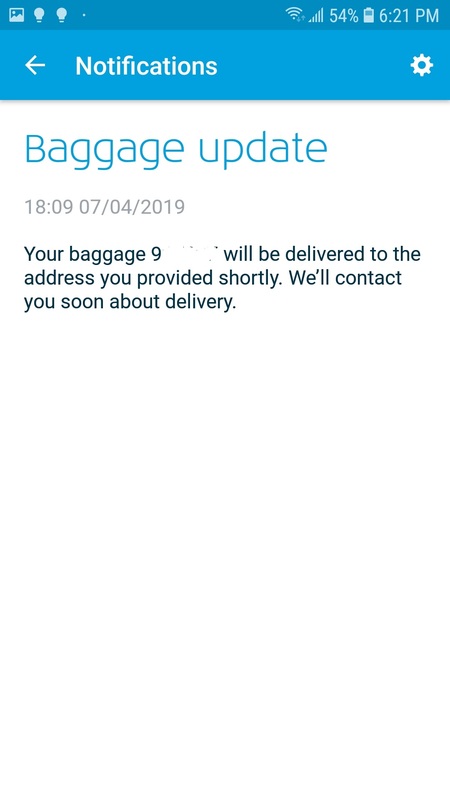 All the years I flew them never had a delay or cancellation (unlike other skyteam members). Would gladly see them upgraded one notch. Got a bargain sub-100EUR price for my return trip from Amsterdam-Hamburg. Absolutely brilliant experience including the price. Flight was less than an hour and without fault. Snacks and drinks still served. One leg was in an old tired 747 but I was surprised by the KLM Cityhopper serviced by a light airy and modern Embraer that was perfect for this short hop. Would fly with again particularly at those prices. Manston UK - Amsterdam - Bangkok. I am more than happy with KLM. They have started to fly from Manston UK which means no more trailing over to Heathrow. The service was excellent my a la carte meal delicious and the seats were comfortable. I will be flying with them again. JHB-YYZ on June 1st 2013. Gold level with Flying Blue and recently took the JHB to YYZ via AMS overnight flight. Trip started fine with 'outsourced’ check-in so no KLM employees in sight just local ground agents. They helpfully got me 2 luggage locks from Emirates. Air France/KLM Lounge is a disaster. Naff 80's styled furniture which is past its prime. Lounge is outsourced and is not clean. Once white chairs are now black red carpet is fraying. Welcome desk is staffed by 2 uninterested employees who spend more time on their mobile phones. The food amounts to pre-packaged sandwiches. Onboard things get better. It is best to describe KLM service as stiff with a smile. I had the express meal option which was good and they quickly plated the main meal within 60 min from take off. Wine list is excellent and they serve very good champagne. I won't deal with the seats because we all know they are being changed to the new sleeper style (well new to KLM about 10 years behind the industry). Lounge in AMS is excellent with lots of services. All in all a fine experience. JFK-AMS-TLV. First leg old 747-400 with newer seats including personal screen. Seats hard pitch acceptable as we where sitting in premium economy. Staff friendly and polite food as usual tasteless to bad. Second flight 737-800 uneventful. Seats typical economy seats from European airlines. No personal TV screen no movie as no main screens. Food same issue again as usual. Crew very good and several water and juice runs after dinner. Good airline and if they would improve food quality I would fly them more. Came last night from Amsterdam to Panama. (May 31 2013). Service is excellent at airports and onboard. Inflight they are always prepared to help. Cabin crew are committed to making your flight pleasant! The food is delicious. The old planes they were using for this route were too old now with the 777 I felt much better. I recommend that since this is a very long flight that they use their best aircraft's on this route. I also took KLM flights within Europe and had the same good experience. BKK-AMS-BRU / MRS-AMS-BKK. 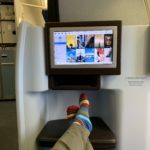 Long haul leg from BKK to AMS was fine. Paid the extra for a bulk-head seat so no complaints regarding legroom there. Plane appeared to be an early generation 777-200 as the cabin was looking a bit dated and seats a bit worn. Plane was clean though. Food was decent though nothing to rave about. Arrived in AMS and checked the board for my transfer to BRU and all appeared in order. I get to the gate just in time to find out my connecting flight got cancelled because the plane had no crew. KLM offered to bus the passengers on the flight to BRU but I made my own way. KLM provided the usual voucher and an apology. Return flight from MRS to BKK via AMS was fine. On the AMS-BKK leg I was on the same 777-200 but bought the premium economy for this leg hoping to be able to get some sleep. Seat I selected lacked legroom because the seat in front of me had the equipment box underneath it so I had to sit at an angle to stretch my legs. With the exception of getting off the plane first there is little point in buying premium economy. IFE system was seriously dated. Small screen with visual static (it was visible on all the other screens I saw). Hopefully KLM upgrades these when the plane goes through its next D-check. 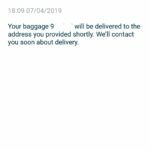 Overall experience wasn't bad but the European carriers need to step it up when the Gulf and Asian carriers offer a superior experience at the same relative cost. Amsterdam to Panama Panama to Amsterdam. 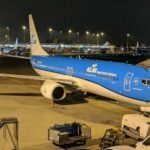 I am a long timer KLM user but these were my worst long haul flights for many years. Boeing 777 both ways uncomfortable seats poor seat pitch so very cramped. When the seat in front reclines it is not possible to view the seat back screen. Food is adequate airline crew do what they have to. How far KLM have fallen.